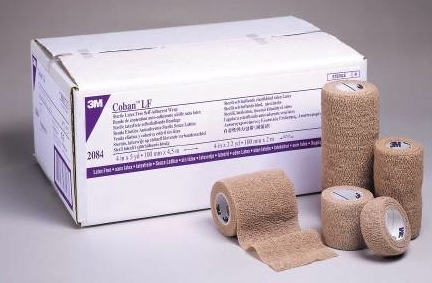 3M Coban Latex Free Self Adherent Wrap is a self adherent wrap that functions like tape, but sticks only to itself. It does not contain natural rubber latex in the product or its packaging. Eliminates potential for allergic reaction in latex sensitive individuals. Coban LF Self-Adherent Wrap is hand tearable, eliminating the need for scissors or cutting. It sticks to itself without the need for adhesive, pins or clips for fast and easy application.